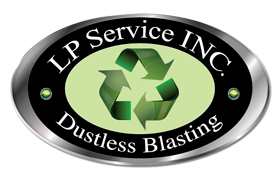 Dustless Blasting is much more effective than power washing and is the perfect tool for cleaning and restoring masonry, stone, brick, concrete and more. Cleaning weather build from a stone patio. Thank you for taking the time to watch this short video.